Walk-ins are available without registration. People pay at the beginning of each class. The class is carried out like a normal class at a show. People who are new to conformation are recommended to take Basic Handling first. People can enroll at any time for a 4-week "ongoing" morning session. There will be no evening run-thrus on the first Wednesday of each month because of the CKC meeting. Wednesday Morning run-thrus will go on as usual. These classes are available without registration. People pay at the beginning of each class. The class is carried out like a normal class at a show. People who are new to conformation are recommended to take Basic Handling first. These classes are available free of charge for childeren under 18 years of age. The classes prepare them for competition in Junior Showmanship. 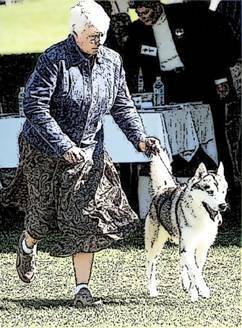 In this competition, exhibitors are judged on their ability to show a dog to its best potential. Students also learn the different procedures involved in judging Junior Showmanship. There is no prerequisite to this class. 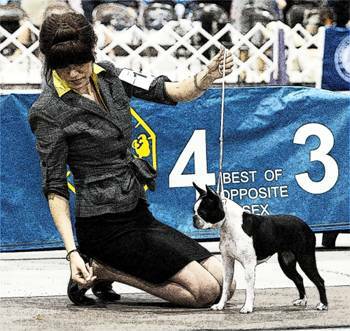 People who are new to Conformation can take this class to get a basic knowledge of AKC ring procedure. 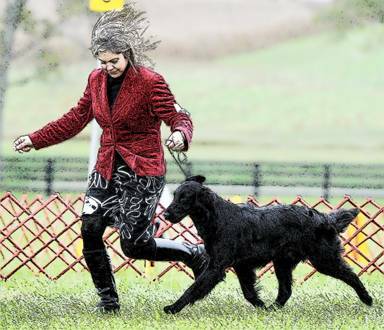 Students are taught how to handle their dogs to their best potential and how a class at an AKC show class is conducted. Students in this class can refine both their skills and their dog's training. Experienced handlers may use this class to train new dogs. People new to Conformation are recomended to take Basic Handling First.